ISOFIX (International Standards Organisation FIX) has been used extensively in Europe and the America's for many years. In late 2014 it was introduced into Australia, as it is a car seat installation system that's being adopted by car seat and vehicle manufacturers worldwide. The system operates through ISOFIX points on the back of the child car seat that plug into ISOFIX fittings in the car, creating a solid link between your child's car seat and your car. Since its initial introdcution in 1997, this safety system has become an international installation interface for standardised anchorage points between a child seat and a vehicle. The ISOFIX system is another attachment mechanism, so you can continue to use the seat belt mechanism or Isofix. In all cases you still should use the tether strap to the Anchor point. There are two ISOFIX attachment systems, these are Flexible ISOFIX system and the Rigid ISOFIX system. A pair of flexible straps with connectors are located at the base of the child restraint which connect to the vehicle’s ISOFIX low anchorages. The flexible connectors are then adjusted to secure the child restraint firmly to the vehicle. The top tether strap must be anchored to the vehicle. 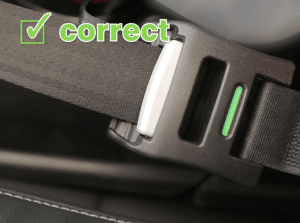 The vehicle seatbelt will not be required when the flexible connectors are being used. 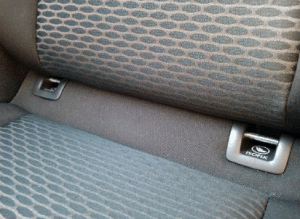 A pair of rigid connectors are located at the base of the child restraint which connect to the vehicle’s ISOFIX low anchorages. The top tether strap must be anchored to the vehicle. The vehicle seatbelt will not be required when the rigid connectors are being used. Many parents will notice that when they install the ISOFIX child restraint, there is more lateral motion than normally would be with a standard seat belt installation. Provided both the ISOFIX indicators are fully showing green, and the anchor point is correctly installed, then you have installed the ISOFIX child restraint according to how it was meant to be installed.